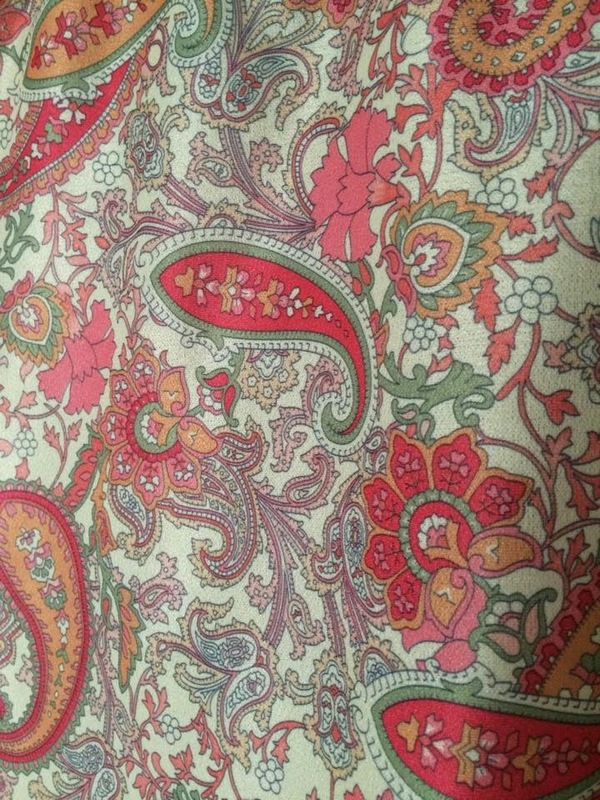 When paisley was making a comeback last year, I searched high and low for some paisley fabric. There wasn't any. Zilch. Nothing. A friend of mine also had a similar problem and it was super frustrating for both of us! That's when I visited my super cool 93 year old Grandma who was having a bit of a clear out. A couple of years ago she gave me one of her old skirts, which I chopped in half, sliced up and made it properly fit me. 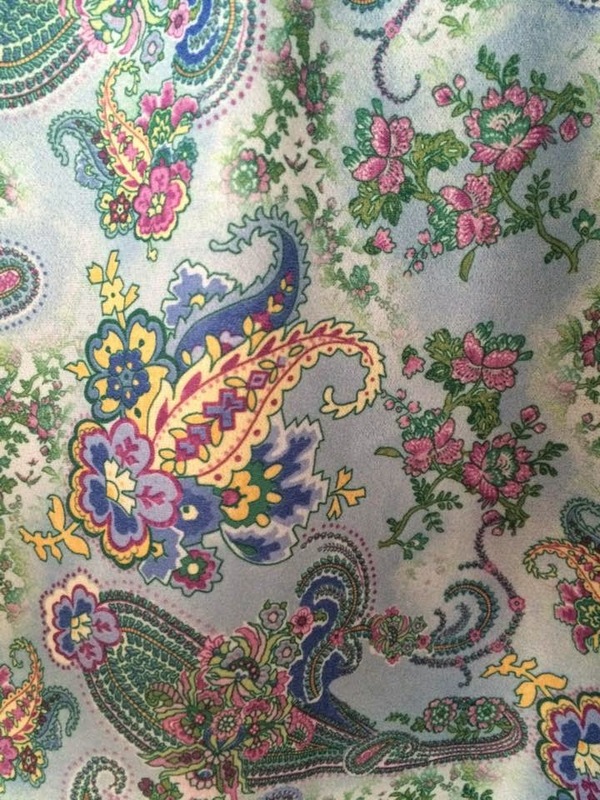 She let me have a rifle through her wardrobe, and there they were... paisley skirts! The dream came true. 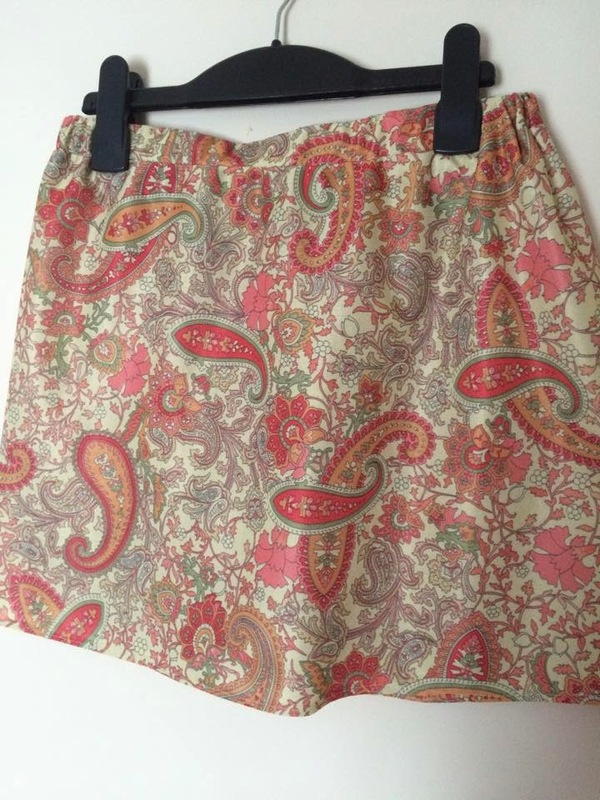 I don't have a photo of the paisley skirts in their original states... but here's one similar. Classic Grandma style from Damart, the place where elderly fashion comes to life. As you can see, the skirt is full length, with a wide elasticated waist. 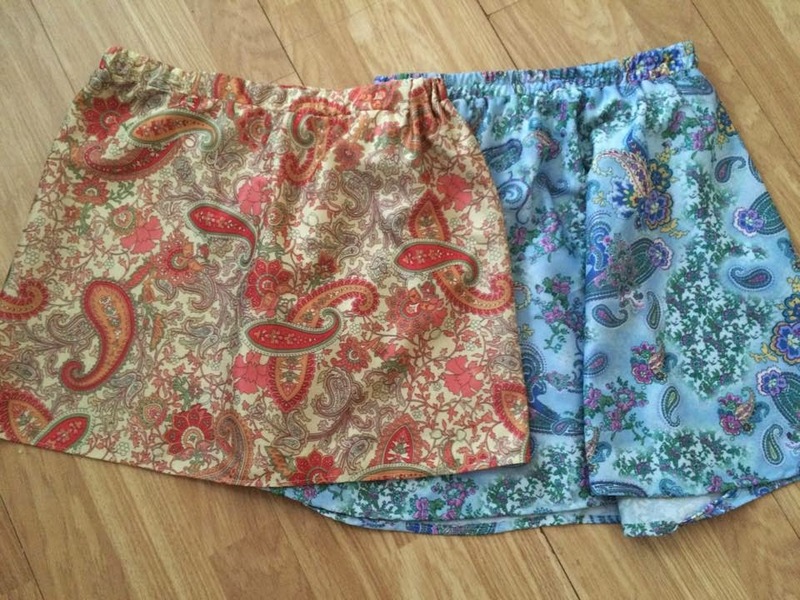 I was given two paisley skirts, one in blue, one in yellow, both the same style as the floral one above. I started by cutting off the elasticated waist and creating my own smarter waistband using the existing elastic. 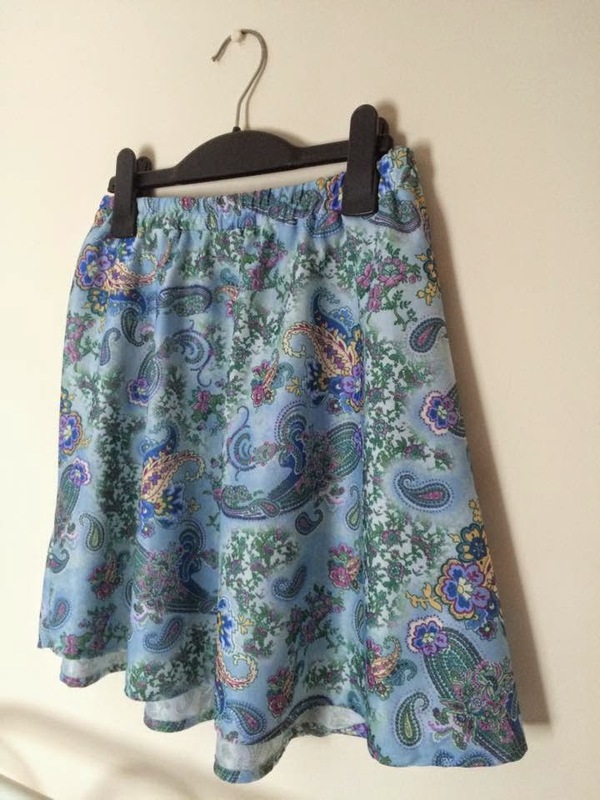 The blue skirt is simply a shortened circle skirt, making it quite flowy and bouncy. The yellow skirt is a more of an A-line mini-skirt. I wear these skirts a LOT. They don't need ironing; they're comfortable; they match plain tops and they're made to fit! 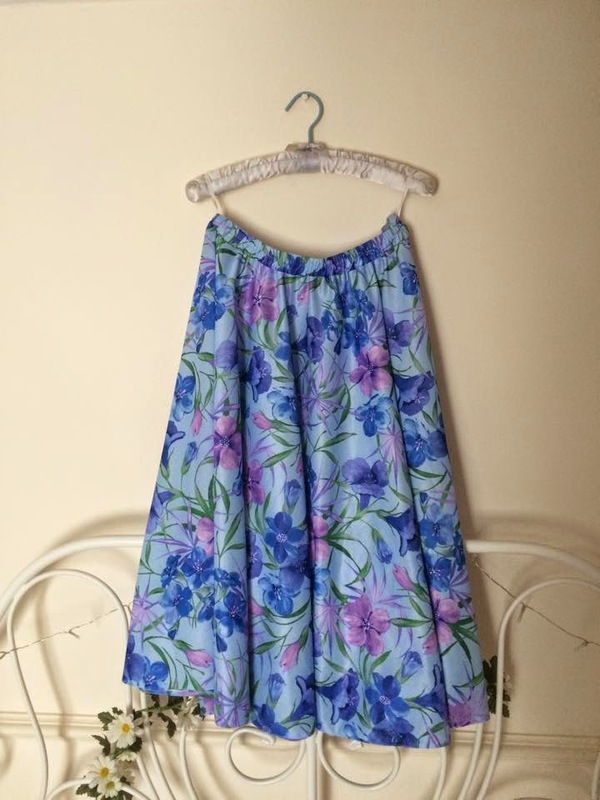 My Grandma gave me a whole load of her old skirts which I've adapted. Find out what I created with them here.